The Hong Kong Performing Artist Guild on the 19th held its member meeting and election. Members voted for 21 council members. Earlier each council members voted for individual posts. Louis Koo Tin Lok took the baton from Jackie Chan as the 13th council president. Gordon Lam Ka Tung and Hins Cheung King Hin replaced Simon Yam Tat Wa and Astrid Chan Chi Ching. They along with Maria Cordero and Chin Kar Lok became vice presidents. Candy Yu On On continued to be the chief secretary. The deputy chief secretaries went from three to four with Ruth Tsang (Lo Fu), Jonathan Wong Chee Hynn, Vicky Fung Wing Kei and Mak Cheung Ching. Because the previous treasurer Wong Chee Hynn became a deputy chief secretary, the current treasurers would be Alex Fong Lik Sun, Grace Wong Kwan Hing and Louis Yuen Siu Cheung. 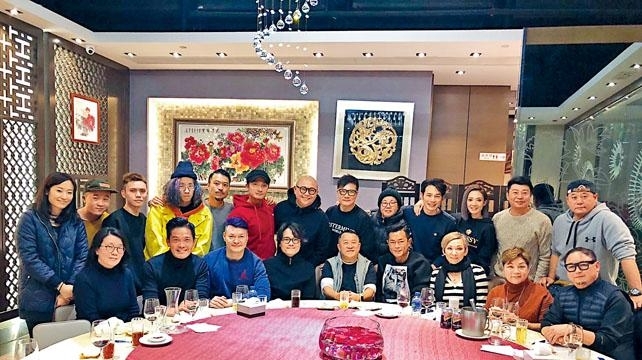 The council would include Yam Tat Wa, Alex Lee Chi Kong, Ng Sung Ming (King@ C AllStar), Bob Lam Sing Bun, Tsui Chi Yung (Terence Siufay), Kelvin Leung, Wilson Chin Kwok Wai and Fiona Sit Hoi Kei. In addition, Eric Cheng Kai Tai, Dough Boy (Ho Ngou), Lee Hoi Yin (Brian@ 24 Herbs) and Justina Shih (Shek Yau Shan) became special invitation council members. The term of the council will be from January 19 2018 to December 12 2019.